The first editions of the race were notable for their extreme cold, the first race in 1907 had only 14 finishers and in 1910 a snowstorm hit the race hard, forcing the peloton to hide in houses along the road – only 4 riders finished the race. Later editions have suffered similar conditions, with the 2013 race halted by blizzards and re-started further along the route, after a bus transfer and a change of clothing. 2015’s race was slightly warmer but featured torrential rain, they say the race isn’t run by the fastest sprinter, but the toughest rider. For the peloton it’s one of the races where clothing matters the most – get it wrong and you will be in the broom wagon with hypothermia, get it right and you will be in the sprint on the Via Roma. 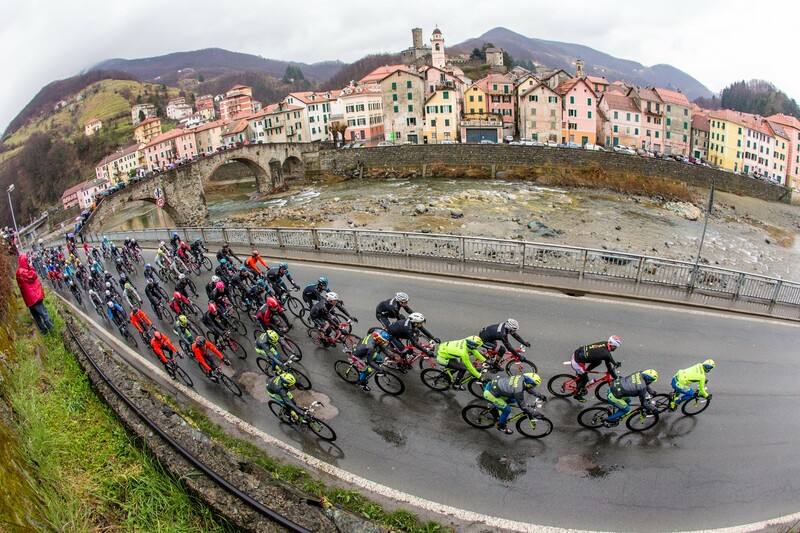 This entry was posted in Cycling and tagged 1100916, 1101266, 1101367, 1101395, 1101396, fiandre, milan san remo, milano-sanremo, tinkoff. Bookmark the permalink.